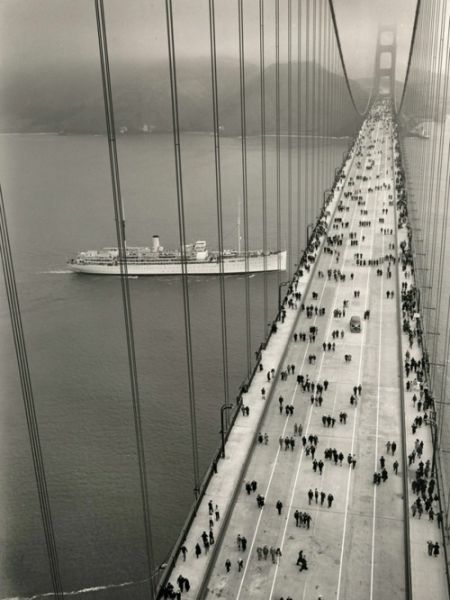 Opening day of the Golden Gate Bridge, 1937. Why pictures of the day are in so low resolution ? why are they all hip? !